Perfect for the barbecue, this is an easy recipe which would also work well with chicken portions, steaks or other meaty fish fillets. 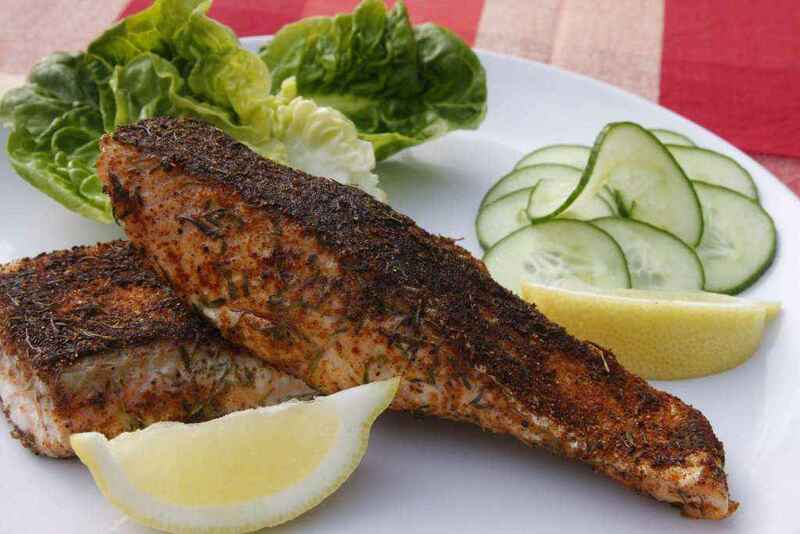 Coat the salmon steaks in a little oil and rub on the Cajun Blackening – we find it easiest to do this in a shallow dish. Make sure each steak is well coated in the spice mix. Place the steaks on the barbecue or under the grill. but make sure to cook the skin side first until it ‘blackens’, then carefully turn them over and cook on the other side until they are ‘blackened’ and the steaks are just cooked through. 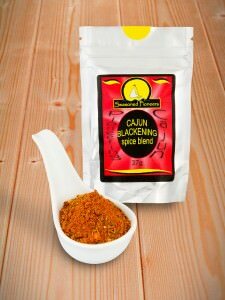 Alternatively you can simply coat the salmon steaks in the Cajun Blackening, then fry them in a little hot oil. You should find that the Cajun Blackening crisps up on the outside, leaving the fish succulent on the inside. Squeeze over a little of the lemon juice and serve. This is delicious served with salads and jacket potatoes or fries.